10:00 am – 6:00 pm, daily except Tuesdays. Tuesdays by appointment. First time visitors to H Gallery are often treated to a pleasant surprise if they did not have a clue to its form. The entry alley, lined with verdant potted flora, lends to a tropical yet tranquil feel. As you approach the private gallery, you will discover it is actually housed in a two-storey Anglo-Thai mansion that is over a century old. The structure is mostly wooden and painted white with dark green accents. 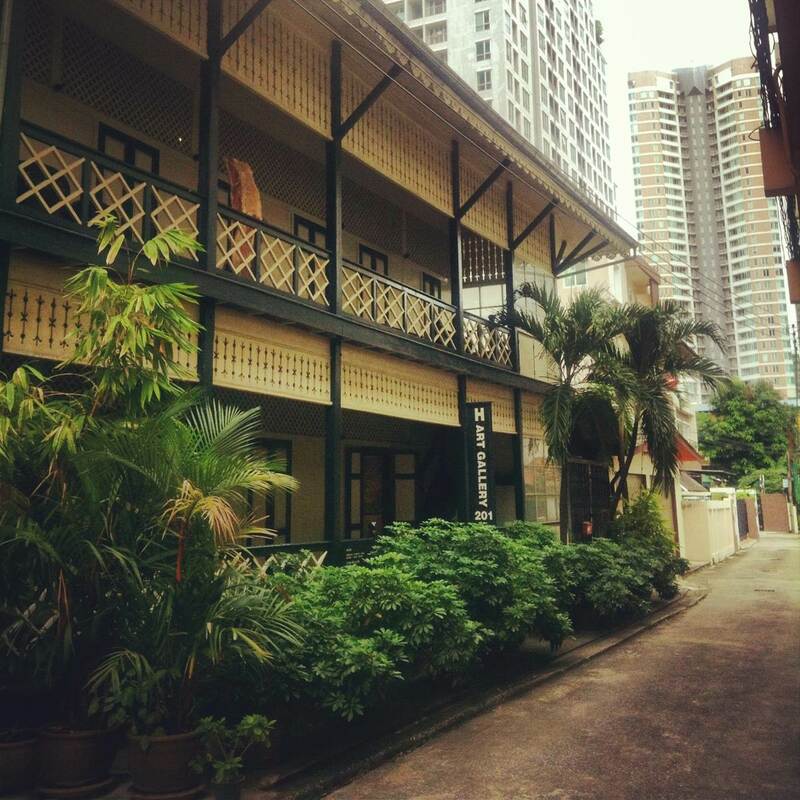 The architecture harks back to pre-war house styles, similar to that of Bangkok Folk Museum and some other Thai gingerbread houses. 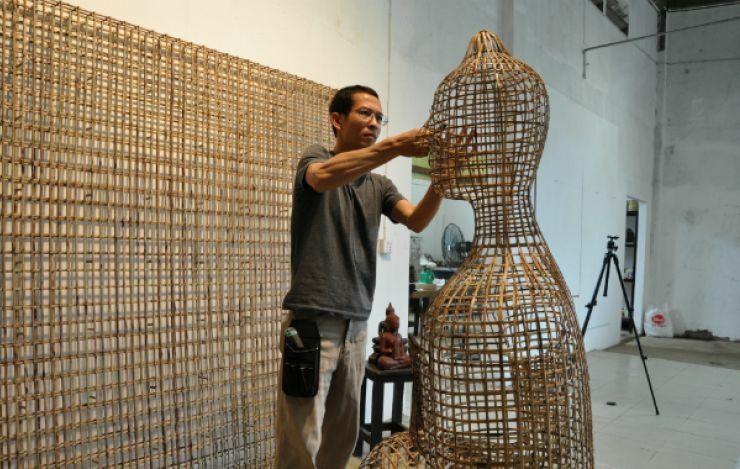 All this is quite apt since it reflects a very Thai origin and that H Gallery is considered a springboard for artists From Thailand into the international community. 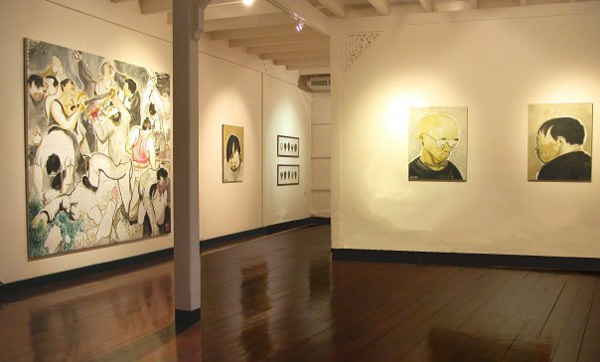 In the early 2000s, amid the increasing interest from the international community in contemporary art originating from various regions, US-born Ernest H. Lee established H Gallery in Bangrak district. 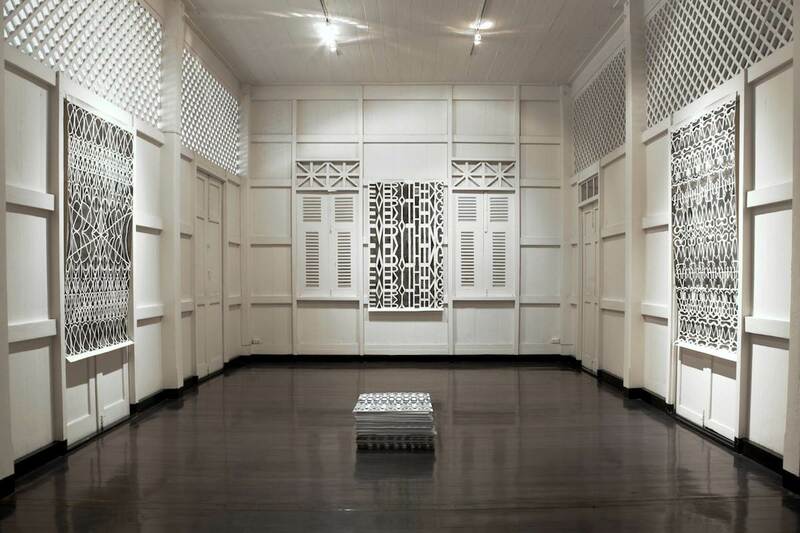 At the time, the gallery’s sole focus was on Thai artists. But over time, the gallery has evolved beyond that. H worked with curator Connelly La Mar to bring foreign artists and establish dialogue between Thai and international artists. 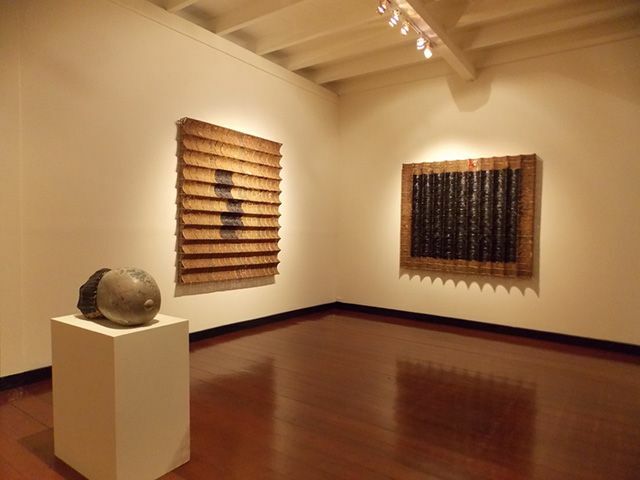 Sopheap Pich, Somboon Hormtientong, and Jakkai Siributr are just some of the local artists who have exhibited in the gallery. In 2011, H Gallery went through another change. This time, in collaboration with curator Brian Curtin, H Gallery established H Project Space to not only further the mixing of Thai and international artists, but also become one of Bangkok’s rare experimental space for exhibitions and performances. Located on the second floor, H Project Space challenges artists to consider the period style of the room and natural ventilation as they put on a show. In preparation for a visit, you can check out what exhibitions are currently happening. But don’t count it as your one and only visit. As H Gallery continues to evolve and bring in thought provoking artists and materials, you can expect to be enticed back for more ever-diversifying cultural experiences.